After releasing his debut solo album back in 2007 “Something Special”, that includes the smash hit Nachna Aunda Nehi, MC SPECIAL returned with singles Sanu Ve and the Summer Hit “NAAH PUCHO”. This saw over 100,000 views on youtube in 5 weeks and it went to number 3 on iTunes. UK born MC SPECIAL returns now with 11 tracks on his brand new album ‘STILL SPECIAL’. The Album features Jaswinder Daghamia, Bikram Singh, Manak-E, AV, Romesh Chohan, Ali Abbas, J Deep, Kaka Bhaniawala,JD, Faze Black …plus some fresh new talent. MC Special is now a known household name. He first burst onto the Bhangra scene in 2003 working with Sukshinder Shinda & Aman Hayer. MC Special was quickly picked up by one of UK’s biggest Label VIP RECORDS in 2005 and since then has become a worldwide artist making noise in countries such as Canada, India, Pakistan, USA and Dubai. MC Special has collaborated with some great artists to try and create some dance floor hits. ‘STILL SPECIAL’ comes with four music videos having the “Naah Pucho” video already released! The new video for the smash hit track ‘ASHIQ HOGAYA’ featuring the vocals of Jaswinder Daghamia & JD will be on airing on TV and the internet soon! MC Special has worked hard to produce a video which would be appreciated by all the music lovers out there. 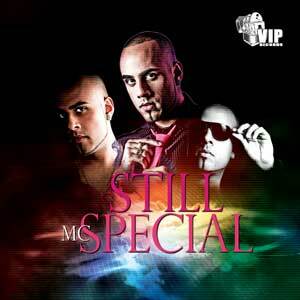 Be sure to have your dancing shoes ready as MC Special is not going to disappoint his fans with this brand new album. “Still Special” releases on the 15th December 2011 as a hard copy in all local UK Asian music stores and worldwide online via iTunes. LOVEEEE the tracks. keep up the amazing work. Special love your tracks dude. Smashed it with this album.